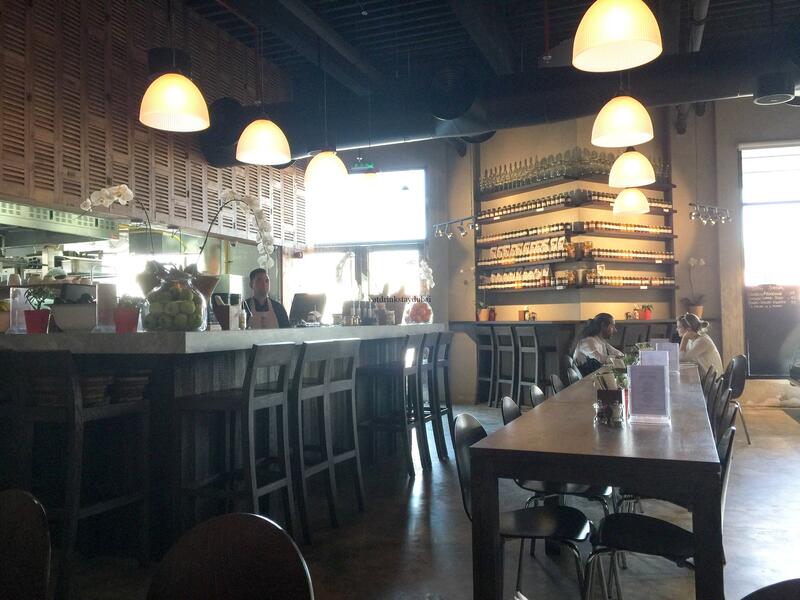 Ask any Dubai ‘foodie’ to recommend a local cafe, one renowned for fresh, homemade, local organic food. 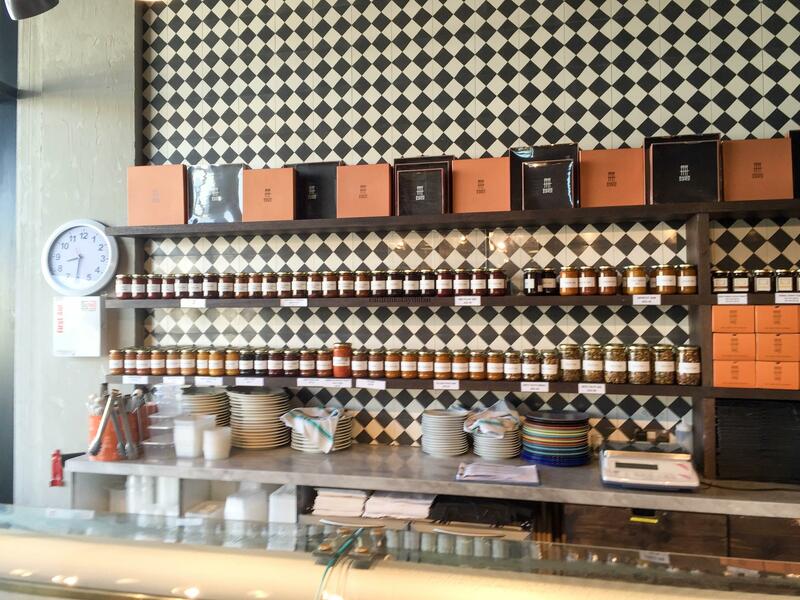 It’s highly likely the first name you’ll hear is Baker and Spice Dubai. 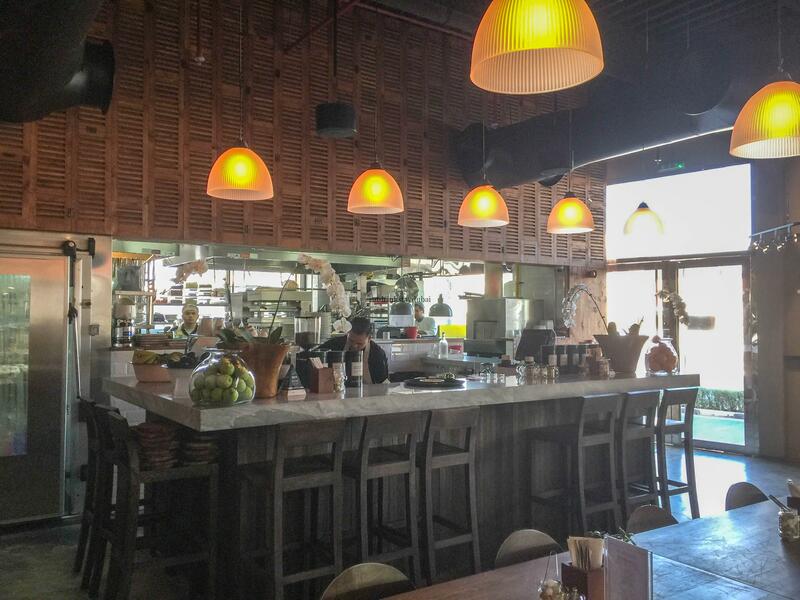 With the first London branch opening in 1995, the concept of ‘artisan food excellence’ quickly caught on in Dubai and they consistently win awards. 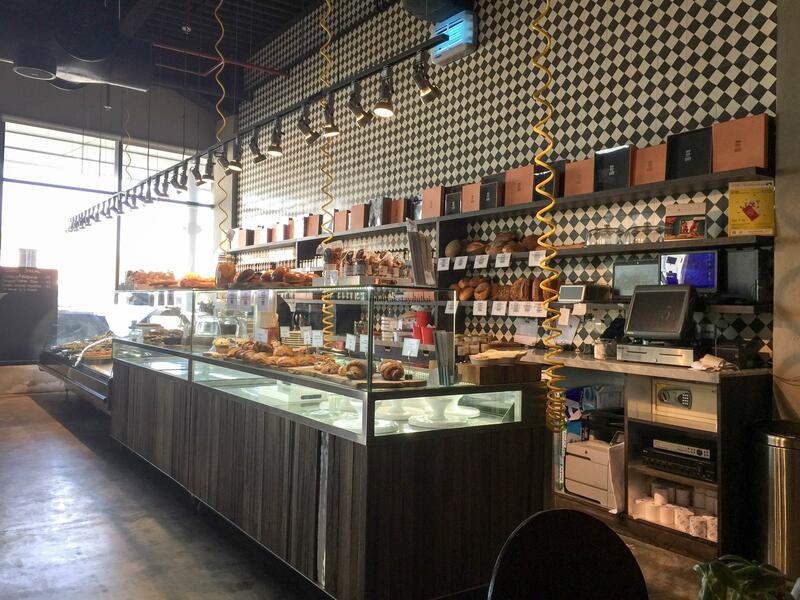 With four other branches in Dubai, I tried the Jumeirah branch of Baker and Spice Dubai for breakfast. 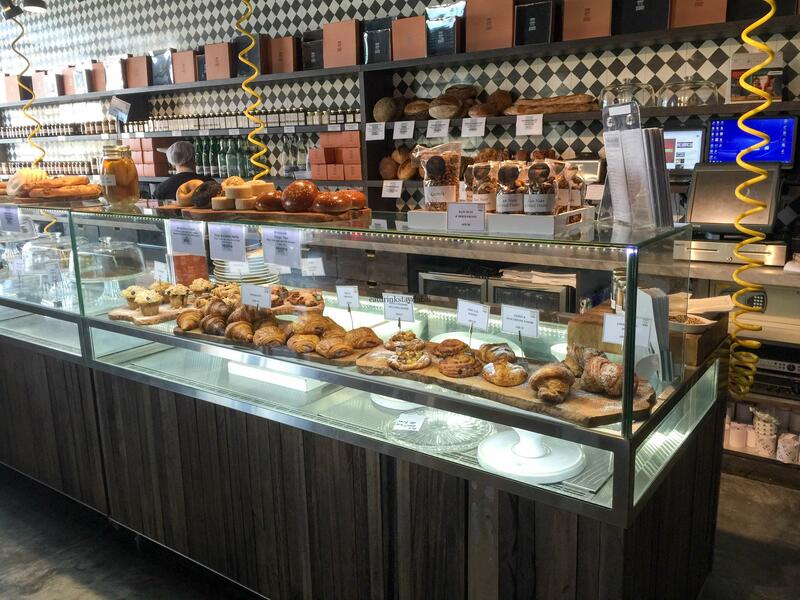 The breakfast menu ranges from eggs, through their (always-recommended) Shakshouka, to cakes, tarts, and a delectable range of home baked bread and pastries. 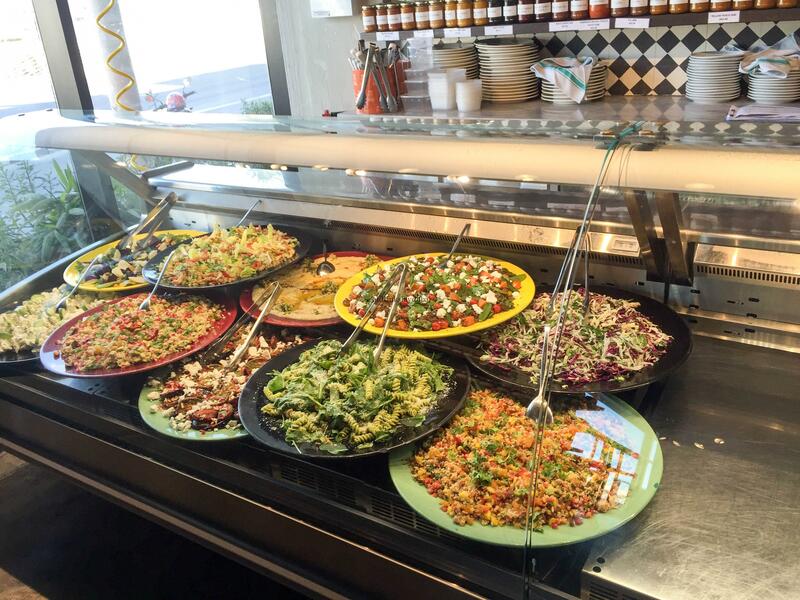 Deli counters offering a wide range of salads, specials and homemade delights. More traditional fare such as burgers, steaks, sandwiches and pastas are available on the All-Day menu. Juices, coffees, cakes, cookies and a nice selection of specialist teas round off the treats. Saving the best till last, the fresh-cooked breads always smell amazing, and are often the most difficult to choose from. 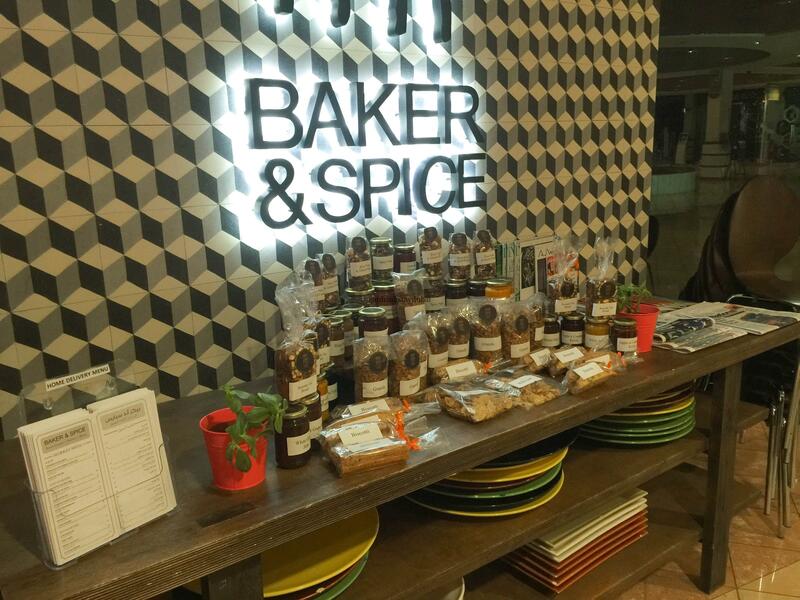 Looking through the menu and website, Baker and Spice Dubai also offer a very busy outside catering and takeaway service. I chose a flat white coffee, and the scrambled eggs. The (toasted) bread was warm, fresh and crisp. Eggs were light, fluffy and golden – no ‘flashing the white bits’ here! The Flat White was very, very good – whilst not having tried many Flat Whites, if this is typical I’m going to be drinking them more often. Just the right balance of espresso and microfoam with a lovely velvety texture to it. Okay, let me make a confession. The eggs, bread and coffee were so stunningly good, I went back for a second serving later. I often find it’s the small things that make the difference, and supplying ‘posh’ Normandy butter (Le Beurre D’Isigny) puts that final touch of finesse to an excellent breakfast. 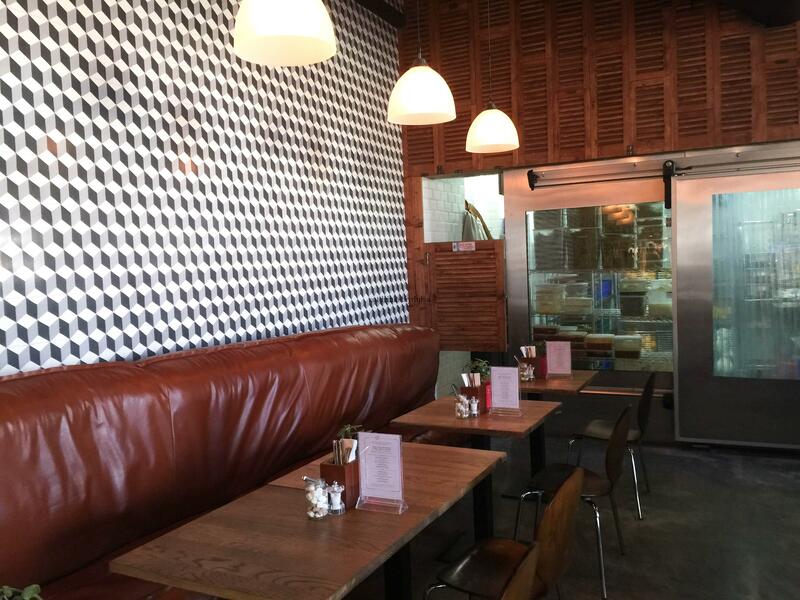 When cafes are quiet, it’s often a fine balance between wait staff being attentive enough or too attentive. It took a while to catch the waiter’s attention at first, and then he couldn’t keep away. However, it’s a bit of a ‘First World Problem’ when one has to find something relatively trivial, as the food was exceptionally excellent. 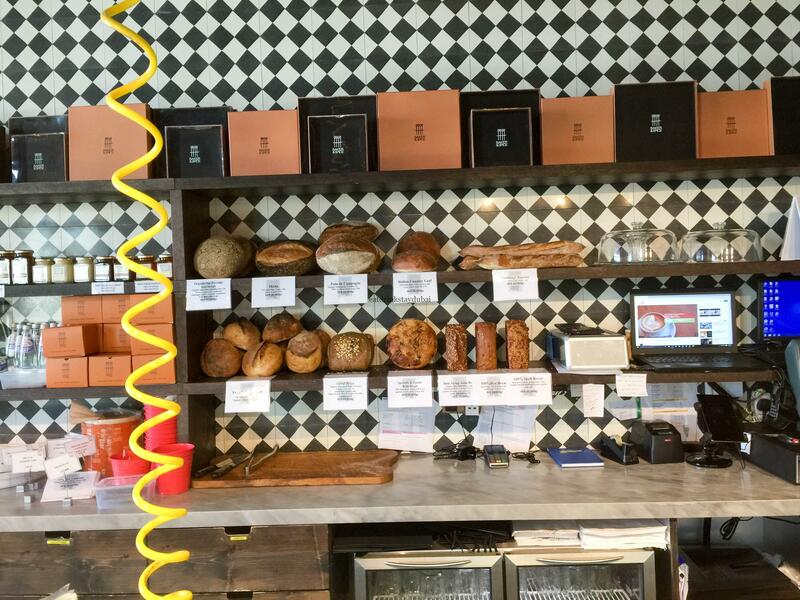 A simple concept – fresh, quality, organic local food but exceptionally well done. Location: Ground Floor, Town Centre Mall, Jumeirah 1. Near to Mercato Mall. 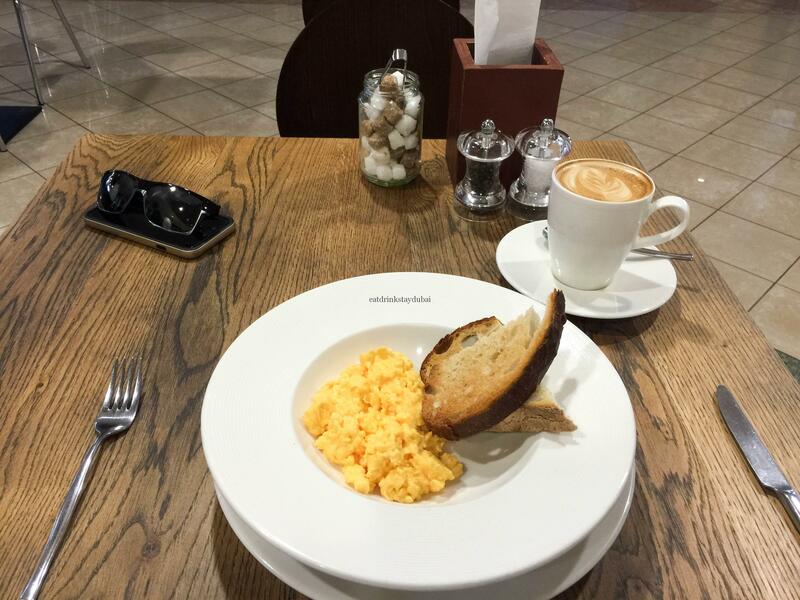 Cost: Total cost = 60 AED (Flat White = 20 AED, Scrambled Eggs = 40 AED). Cuisine: artisan, organic ingredients, locally sourced. International cuisine, including breads, pastries, coffee, tea, breakfasts and all-day menu. Disclosure: All of our reviews are visited anonymously, and we pay for all charges ourselves.We feel no freebies, no bias, no PR or marketing involvement makes for a fairer, objective and better review for you.